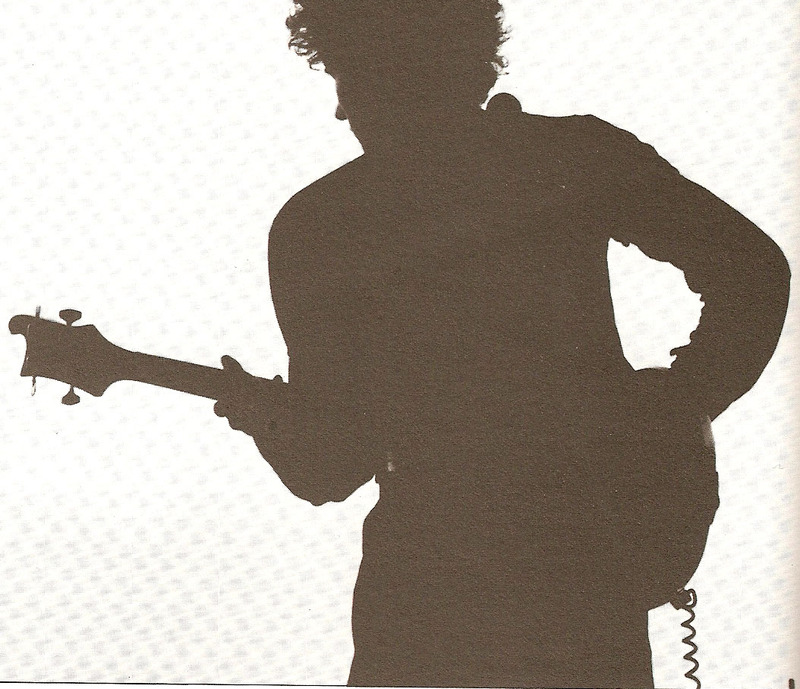 Stream over 70 live gigs! 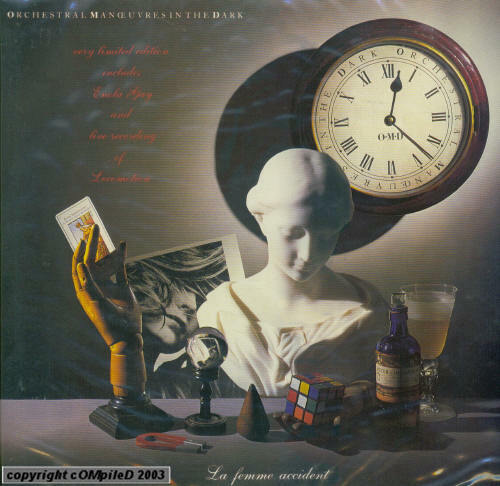 Visit the ultimate OMD catalogue "Compiled"
Orchestral Manoeuvres in the Dark (often abbreviated to OMD or O.M.D.) are a synthpop group whose founding members are originally from the Wirral Peninsula, England. 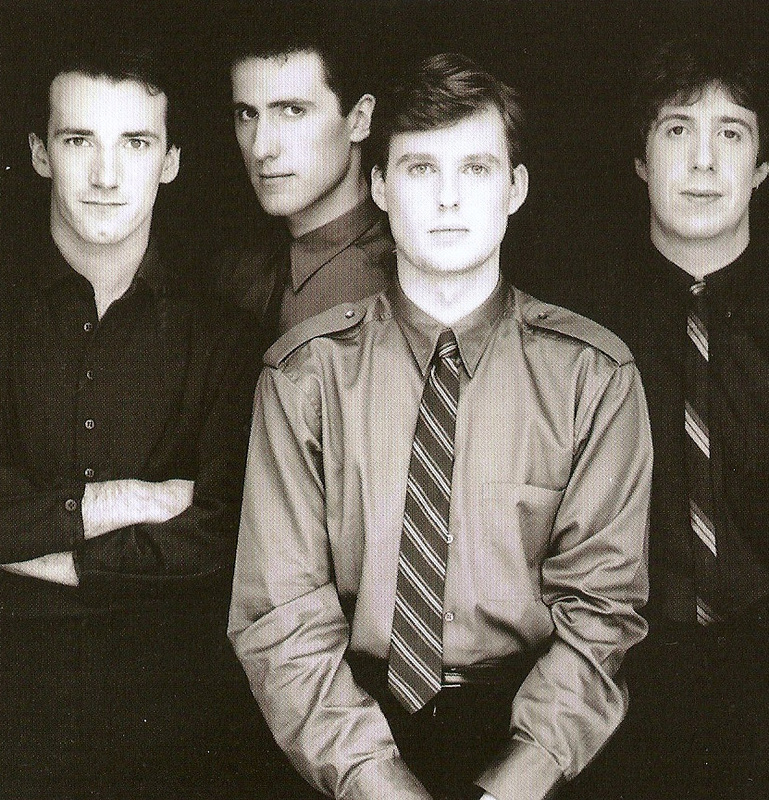 OMD were originally assimilated in the greater new wave batch of synthesiser-based acts of the later 1970s–early 1980s. The group was founded in 1978 by Andy McCluskey and Paul Humphreys who remained, and were perceived as, the core members. Adding sidemen Malcolm Holmes and Martin Cooper by the end of 1980, this quartet (with occasional line-up fluctuations) was the live concert line-up until 1989, when Humphreys, Cooper and Holmes all left OMD to found The Listening Pool. McCluskey then retained the OMD name and continued to record and tour as OMD with new line-ups through 1996. 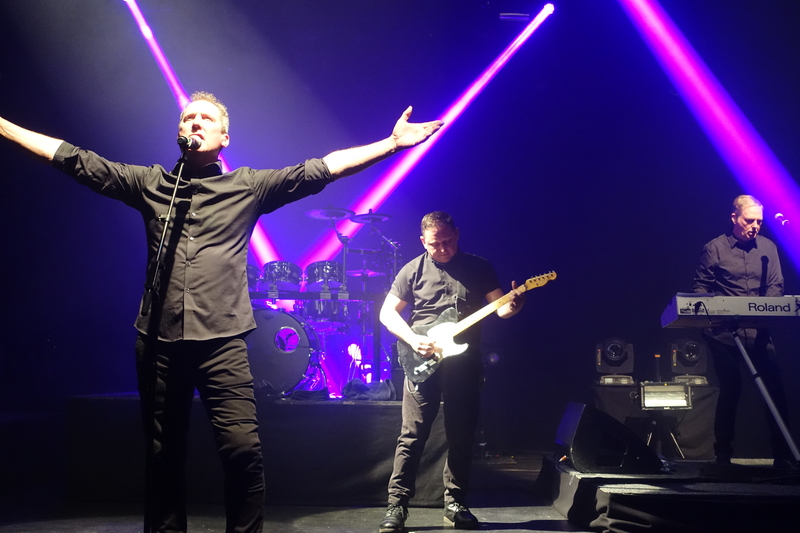 Although McCluskey essentially retired the OMD name in 1996, shortly thereafter Humphreys began playing live shows as “Paul Humphreys from OMD” with other musicians, including Propaganda’s Claudia Brucken on vocals, on an as-needed basis, but without McCluskey. 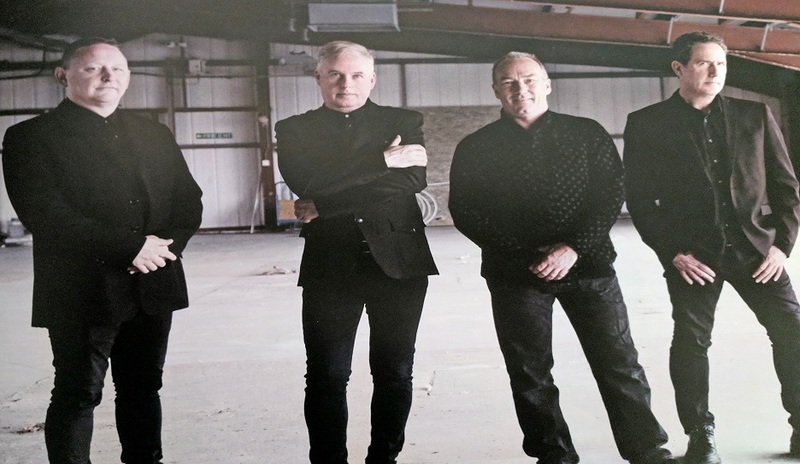 Then in late December 2005, OMD’s official website announced a forthcoming reformation of the “classic” 1980’s line-up (Humpheys/McCluskey/Cooper/Holmes), both for live performances and for a new studio album. This reformed quartet began touring in 2007, and further successful sold-out tours took place in 2008 and 2009. OMD’s most recent studio album History of Modern was released on 20 September 2010. Here is my interview I did with Andy McCluskey in July of 2010 talking about the upcoming OMD album History of Modern. The interview is 90 minutes long and includes clips of some of the songs from album. Back in June of 2010 when some of the first bits of the upcoming History of Modern tracks were getting leaked, and heated debates were forming on the official OMD forum, I e-mailed Andy and asked if he would like to be interviewed about the upcoming album and to speak about the songs, the choice of single (or non-choice of single, the upcoming tour, etc. He mentioned that he was going on holiday in July to California, so I posed the option of doing an interview over the phone and to my amazement, he said yes!!! So, one afternoon in late July 2010 I rang up Andy in California, and through the magic of Office Communicator 2010 I was able to record our phone conversation as a sound file, then do some editing on if afterwards. The first 20 minutes or so don’t sound quite as good as the rest as I was tweaking some settings and such, but after the first 20 minutes, it all sounds great. I’d like to once again thank Andy for being so gracious and allowing me to do this. This was one of the most enjoyable conversations I’ve had and I had a great time doing this. The interview is 90 minutes long, so feel free to listen to it here, or download it for yourself and listen to it on your own computer or MP3 player!